Speed Networking! - POSTPONED- WILL BE HELD IN APRIL! Name: Speed Networking! - POSTPONED- WILL BE HELD IN APRIL! THINK YOU DON'T HAVE TIME TO ATTEND A NETWORKING EVENT? THINK AGAIN! 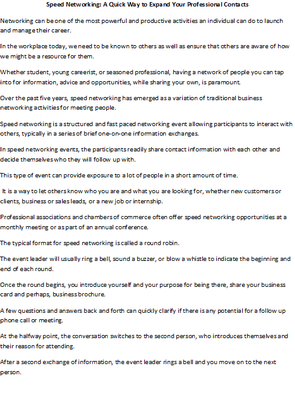 Speed Networking is the method to make new connections in a fun, fast and highly-effective way. NAMING SPONSOR $1000, call us for details!